Let the ice cream sit at room temperature for about 15 – 20 minutes, or until it becomes soft. Melt the margarine and combine in with cookie crumbs. Press the mixture into a pie plate. Freeze for at least 15 minutes. 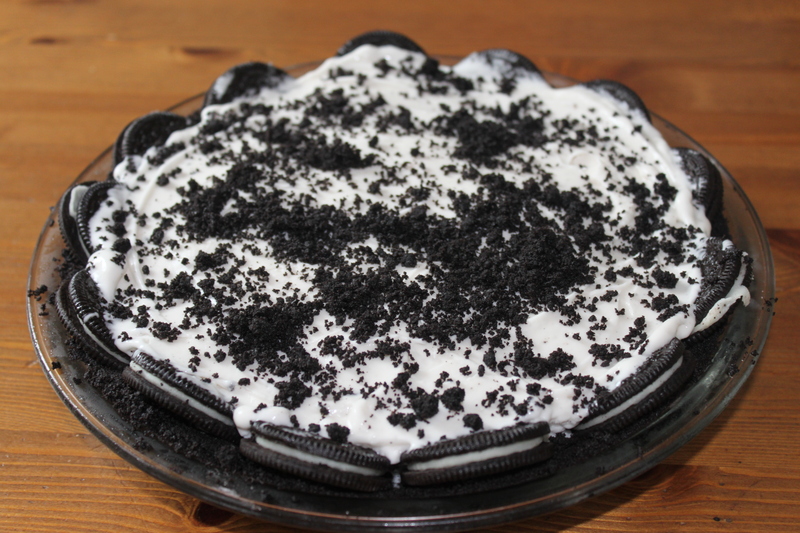 Spread about half of the ice cream in the pie plate being careful not to mess up the cookie crumb crust. If you’re using cookies, you can lean them up against the edge of the pie plate all around. You can also sprinkle in some chocolate chips, more cookie crumbs or whatever else you want to use. Freeze for at least 15 minutes. Scoop on the remaining ice cream and top it with sprinkles, cookies, chocolate chips or whatever else! Freeze until you’re ready to serve.